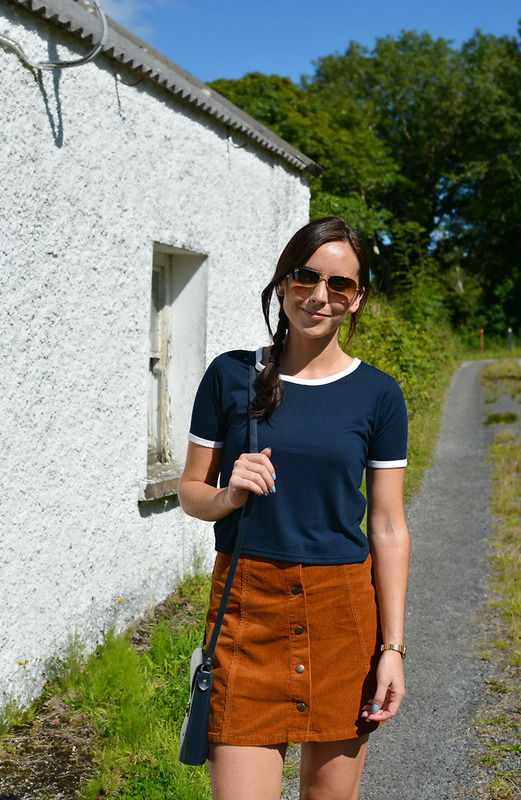 ah remember the good old days when it wasn't raining.. well these snaps were taken when It was rather sunny in ireland and it's making me nostalgic as I unpack ALL the knitwear! I haven't planned much in terms a/w outfits this year, I'm heading on holiday this month so I'm going to squeeze in the last few chances to wear my summer wardrobe before I get stuck into my fave winter sport.. the annual coat hunt! This is such a lovely outfit - I do love the chord skirt! 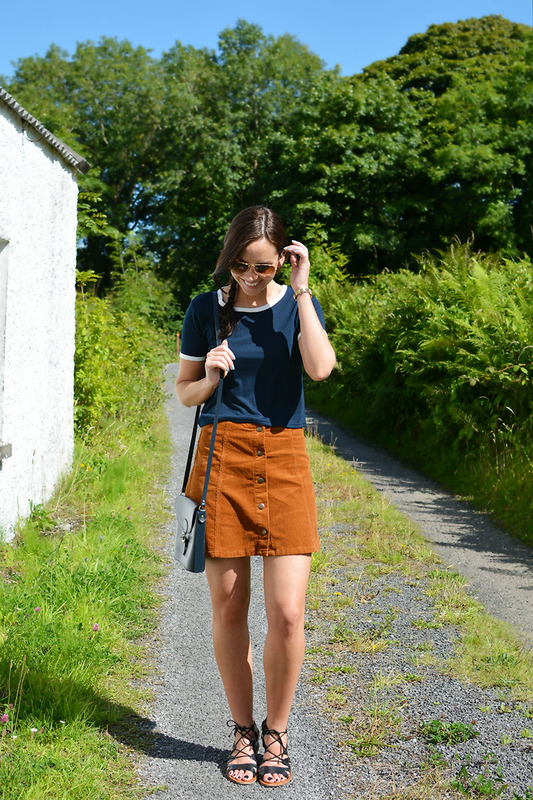 I love this outfit, the skirt is such a gorgeous colour and looks perfect with the navy shirt! I like the colors of this outfit, they remind me of autumn! I love that those types of skirts are now in. They are so cute! That skirt is such a thing this time, but i love it! Can't believe it's coat season already! Love these nostalgic sunny photos ahah. Holy retro! I love this combo, super comfy looking yet effortlessly stylish. Diggin the 70's groove! I like your style very much . Gorgeous outfit. I like your sandals.